Twin balance boards let you take a physical approach to iPad gaming. When you think of an iPad game controller, you probably imagine a MFi Bluetooth gamepad, or maybe something that attaches to your iOS device, like the Gamevice. What you probably aren’t picturing are two hunks of curved wood that you stand on so you can play Swing Pong (think ping-pong) with your feet. Swingy, which is live on Kickstarter now and should ship in March 2016, is just that: A set of balance boards that also serves as a game controller. The two wooden steps give you a place to stand, and the curved bottom engages your core muscles as you make small adjustments to keep your balance. A small sensor underneath each footrest pairs to your iPad (or Android tablet) with Bluetooth LE, and you tilt the balance boards with your feet to control the ping-pong paddles on screen. I’ve been playing with a Swingy for about a week, and the Swing Pong game is genuinely fun, leveling up difficulty quickly and tossing in powerups so the action doesn’t get too repetitive. It adapts well to players of different abilities—Swingy is designed for ages 4 and up. Games go quickly, since you level up so fast, so it’s just a race to reach the high score. The rockers, crafted from beechwood, are wider on the bottom than the top, so I had plenty of room for my (women’s size 10) feet, and felt nice and stable, not like I was going to fall. They’re well crafted and can support users up to 300 pounds. 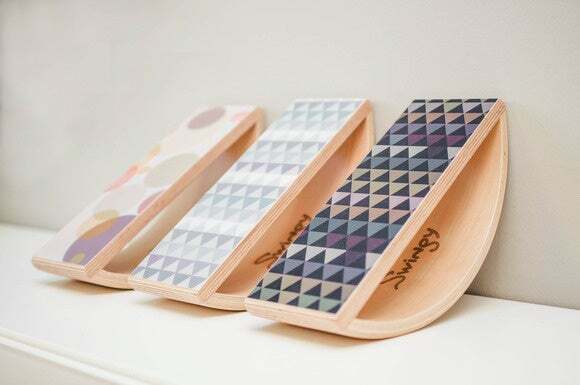 In fact, the nonskid balance boards feel so nice that I started stashing them by my standing desk, and just standing on them from time to time as I work. 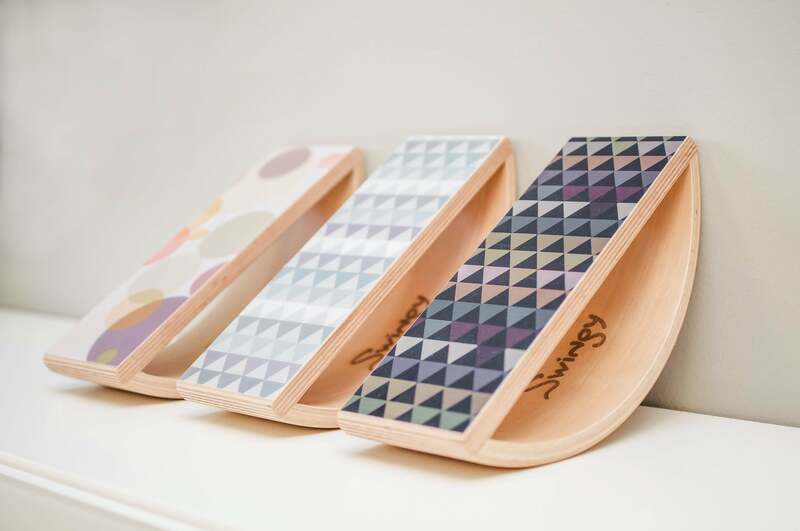 Mine have a kid-friendly design on top (just a squirrel wearing a hooded sweatshirt, as radical squirrels are wont to), but the balance boards will also be available in more adult patterns too. Swingy comes in various patterns. Pairing the balance boards to my iPad wasn’t too tricky. Since the left and right balance boards aren’t physically connected by any kind of cable or wire, you have to pair each balance board to the iPad separately, by following the instructions inside Swingy’s companion app. But once they’re both connected, you don’t have to walk through the setup again—Bluetooth LE allows automatic pairing the next time you launch the Swingy app. Button-cell batteries inside the sensors can be swapped out when they lose power, but the developers estimate they’ll last at least 6 months. A controller you can only use with one game is a tough sell, but the developers plan to roll out at least one more game by the time Swingy ships to Kickstarter backers. They’re working on games for ski jumping and surfing, and may let the backers choose which game ships first. Swing Pong is a natural fit, so hopefully the new games will be just as fun to play while you work on your balance. After all, balance is important, whether you’re trying to not fall off the Swingy boards, or you’re trying to achieve a balance between playing iPad games and getting a little exercise.